The latest Radar Abrainc-Fipe Index, which analyzes twelve indicators to measure Real Estate activity, showed significant drops in 2016. RIO DE JANEIRO, BRAZIL – Data from the latest Radar Abrainc-Fipe Index showed that, unsurprisingly, real estate activity plunged across Brazil in 2016. The latest report, released last week, showed that several indicators which comprise the Index fell to never-before-seen lows signifying an erosion of confidence among the country’s potential homebuyers. Unsurprisingly, real estate activity across Brazil saw sharp declines in 2016, photo Wikimedia Creative Commons. The Radar Abrainc-Fipe Index analyzes twelve categories, based on macroeconomic conditions, credit markets and real estate demands, and gives each category a score on a scale of zero to ten, with zero being the least favorable and ten the most favorable. The twelve scores are then combined into a single Index that measures the country’s overall Real Estate health. According to the latest Index, in December 2016, the overall Real Estate score was 2.4, a decrease of 0.9 points from the December 2015 figure of 3.3. When spread over a twenty-four month period, last December’s score was a steep decline of 3.8 points, off of December 2014’s seemingly impressive score of 6.1. Examining the twelve categories used to calculate the Radar Abrainc-Fipe Index, in December 2016, three of the twelve – Employment, Wages and Home Prices – dropped to their lowest possible score: zero. This was the first time these three indicators reached zero in the history of the Radar Abrainc Index, which began compiling data in January 2004. By comparison, in December 2015, the Employment indicator was 5.2, Wages was 3.2, and Housing Prices was 3.7. On the positive side, some categories did actually increase their scores from December 2015 to December 2016. Both Consumer Confidence and Real Estate Credit Availability indicators scored a zero in December 2015. In December 2016, Consumer Confidence rose to 2.6 while Real Estate Credit Availability reached 4.5. 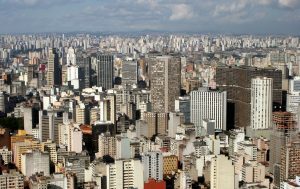 The Radar Abrainc-Fipe Index, a combined effort from research center Fipe and industry group Abrainc, is considered the key metric for Real Estate activity in Brazil. A copy of the latest report can be found on the organization’s website.